The aim of this study was to assess the use of measuring left atrial pressure to complement transesophageal echocardiography and doppler imaging. Procedure efficacy is measured in the cath lab by echocardiography. However, these measurements are operator dependent and might be influenced by left ventricular function and changes in left atrial compliance. The study looked at continuous left sided pressure in 50 patients undergoing MitraClip. These measurements included left atrial V-wave pressure, and left atrial mean, systolic, and end-diastolic pressures. Left atrial pressures were indexed to left ventricular pressures to compensate for variations in afterload during procedure. Read also: TCT 2018 | TriValve: Mitraclip for the Tricuspid Valve. 70% of patients had degenerative mitral regurgitation. Mitral regurgitation grade by echocardiography decreased from 3+ to 0+, and atrial V-wave (p<0.001), mean left atrial pressure (p=0.007), end diastolic pressure (p=0.001) and all left atrial pressures indexed values also decreased after MitraClip. Intra-procedural increase of mean left atrial pressure was associated to a smaller number of rehospitalizations for cardiac failure and more chances to reach functional class III or IV at follow-up. These events could not be predicted by post procedure 2+ mitral regurgitation. This study shows the value of continued real-time monitoring of left atrial pressure to predict events after treating mitral regurgitation with MitraClip. An increase in left atrial mean pressure is a predictor of worse prognosis at short term, regardless echocardiographic findings. Original title: Continuous Direct Left Atrial Pressure. 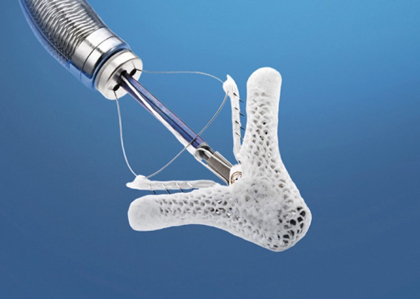 Intraprocedural Measurement Predicts Clinical Response Following MitraClip Therapy. Reference: Shingo Kuwata et al. J Am Coll Cardiol Intv 2019, article in press.